The Festival's origins date all the way back to 1963, when it was held in the Chinese province of Heilongjiang. Today this holiday is rightfully considered the main winter fest on the planet. Nowhere else artists and volunteers construct such enormous objects. Few weeks before the opening, in the city of Harbin turns into an ice suburb with its skyscrapers, towers, temples, and copies of the world's architectural masterpieces as the Eiffel Tower, the Colosseum and the Arc de Triomphe. 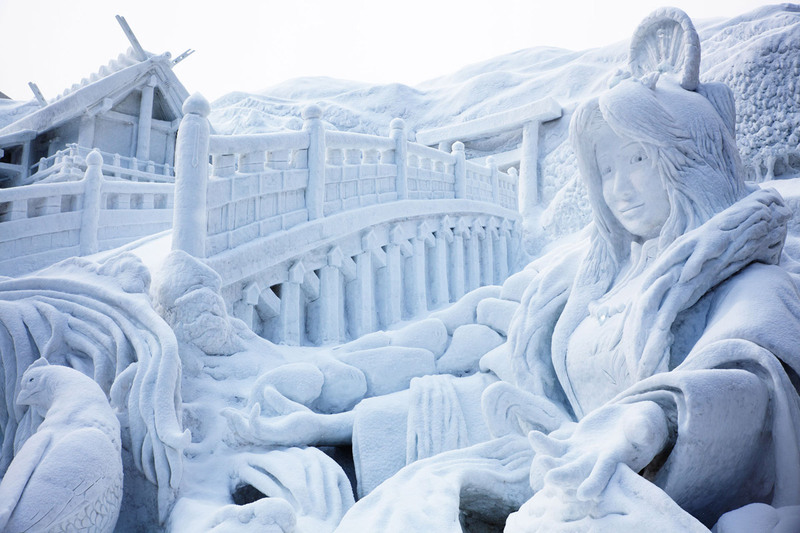 Ice-carving artists use water from the Songhua River and special tools, even lasers. In addition to them and to artists’ talent, no less important role is played by the weather: the winter is very cold in Harbin, daytime temperatures is not likely to raise above -17◦C degrees, and at night all indicators drop to -40◦C. Therefore, big and brash sculptures and buildings thrive and stand up to the beginning of spring, while the festival lasts just over a month, starting in January. To ensure that guests stay here as long as possible, the organizers install special boxes where one can keep warm, drink tea and eat, but for the hardiest visitors there operate ice cafes and bars. This Canadian event is usually held during the first three weekends of February in the territory of the Rideau Canal, which these days becomes a giant seven km long skating rink. There are two other locations: Doe Lake and Cartier and Confederation Parks. 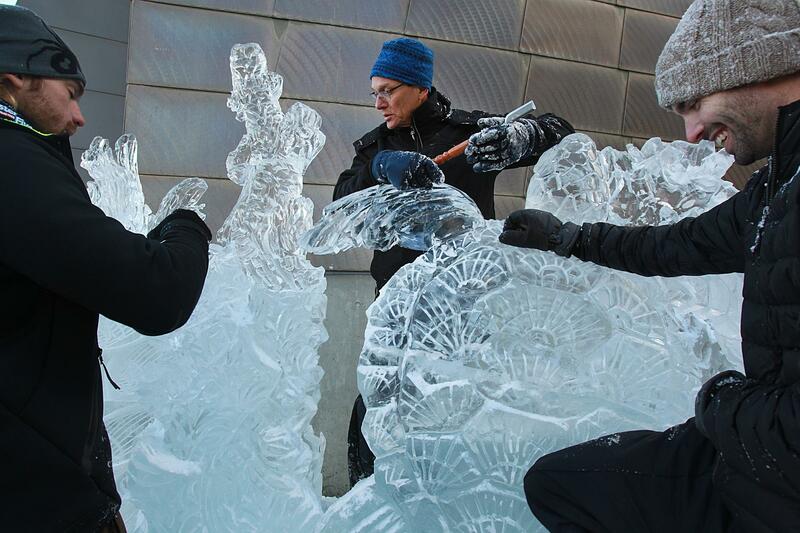 The festival, which is almost forty years old, is one of the star winter attractions of Ottawa. In addition to the construction of various facilities of white snow and crystal-like ice, Winterlude is a holiday for adults and children, because everyone gets the opportunity to be not only the audience, but also to participate in exciting amusements: races on the beds, running, point-to-point runs and expert-led workshops. Even the traditional throwing snowballs here becomes a real battle in which thousands of people eagerly take part. In Japan they love the cold seasons too, so at the beginning of February in Sapporo, capital of Hokkaido, is held a week devoted to the holiday of snow. It is considered one of the oldest in the world, because at the level of the municipality it has been organized since1950, when local high school students built six snow animal statues in Odori Park. Skills manifested by young sculptors struck the city residents and the next year they followed their steps. Since then, every family in Sapporo tries to spend at least one winter day in the park and build their own frozen masterpiece. Besides the fact that the main action which is contest of sculptures is held inside park, the central streets of the city also turn into winter dreamland. This makes the festival a truly unique, because the vast metropolis freezes and becomes decorations for New Year’s fairy tales. Every year it is visited by no less than two million tourists from all over the world, and this number is equal to the population of Sapporo. Latvian town for more than ten years has been collecting land art masters in early February. It is notable for being more competition than just a show. Each year, participants receive a special tasks devoted to some theme, and a period of time allotted for their implementation. Then, the jury consisting of the world's guru, estimates sculptures not only from the point of view of the audience to which almost everything is a "wow! ", but professionally. Therefore, in the territory of Duke Jacob park, and in a park near the Palace of Culture, serious battles are raging, and the temperature, despite the time of year, significantly rises up. Ice sculptors compete both individually and representing their countries, they unite into teams. Despite its young age, the event has been highly appreciated, as evidenced by the interest of the visitors - each time the number of guests increases by 50-70 thousand. The latest destination of our winter wonderland tour is a major North American celebration of First Night. It was invented by artists in 1976, when they decided to make a night from December 31 to January 1 really magical and cultural, so they created in the city centre some beautiful ice figures. The event attracted the attention not only of passers-by, but the city authorities, claiming that it can be a hallmark of Boston. Since then it has grown wider and become a real carnival, and now it is supported not only by a voluntary impulse of artists, but also by the multi-million dollar budget. Moreover, when the main event venue was moved from the centre to the Boston Harbour, the organizers received location with impressive scenery, which at New Year's Eve is illuminated by the most powerful fireworks in the country. Those icy figures and sculptures from Boston are admired by all Americans, when television broadcasts fireworks as a symbol of celebration and a clock heralds the coming of the New Year.